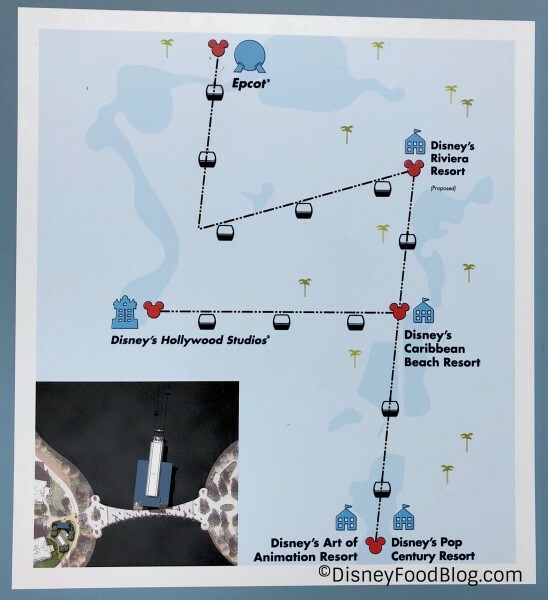 Disney World’s newest form of transportation is the Skyliner, a gondola connecting Epcot and Hollywood Studios with several Disney resorts. Skyliner Stations will be found at Caribbean Beach Resort, Epcot’s International Gateway, and Hollywood Studios and will also connect Pop Century, Art of Animation, and the new DVC Resort — Disney Riviera Resort. 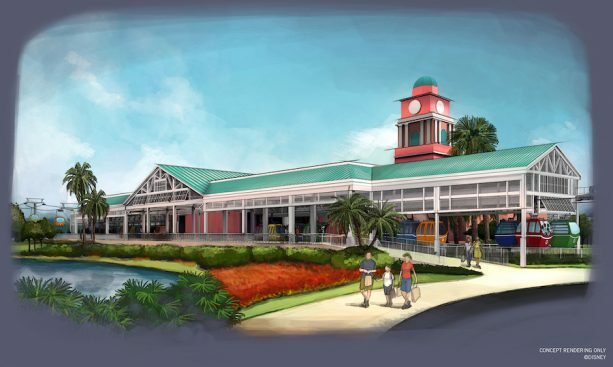 The Caribbean Beach Resort station will be a hub of activity for the new system. 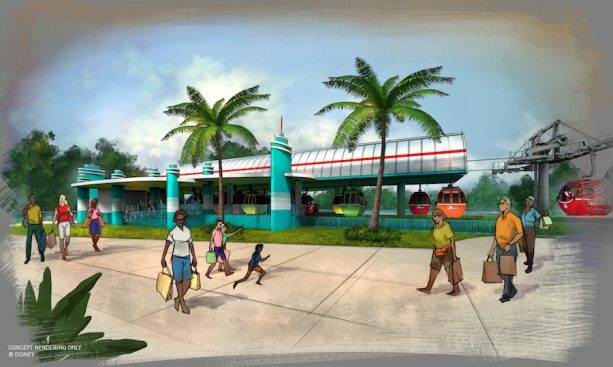 At Hollywood Studios, the station will mimic the retro look of the park entrance. 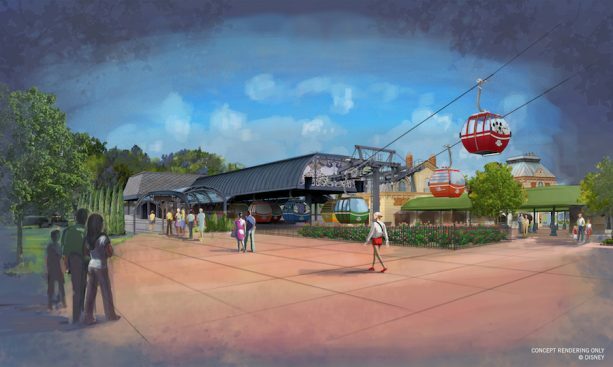 Epcot’s Skyliner Station will be located near the International Gateway and will capture the beauty of the Pavilions located near this part of the park. 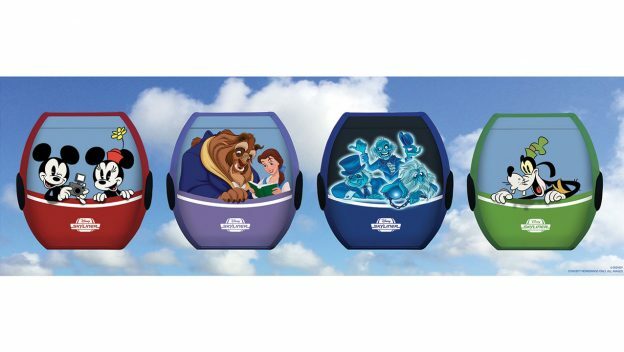 The Skyliner gondolas will feature popular Disney characters! 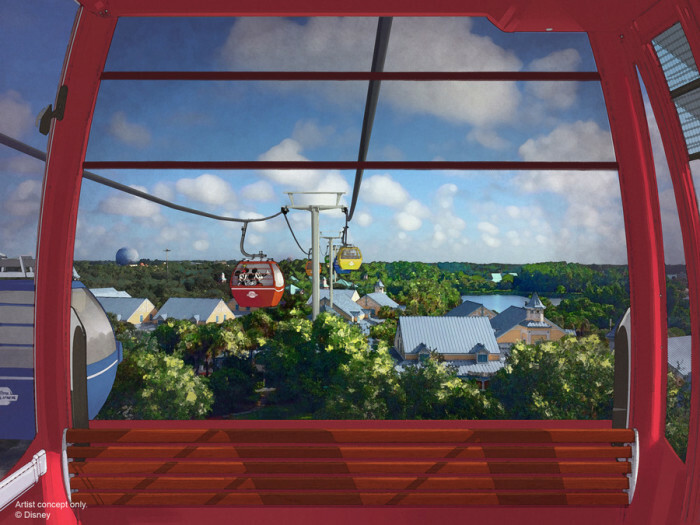 Want more news about the Disney World Skyliner Gondola System? Click on the links below for more news and updates on the Skyliner.